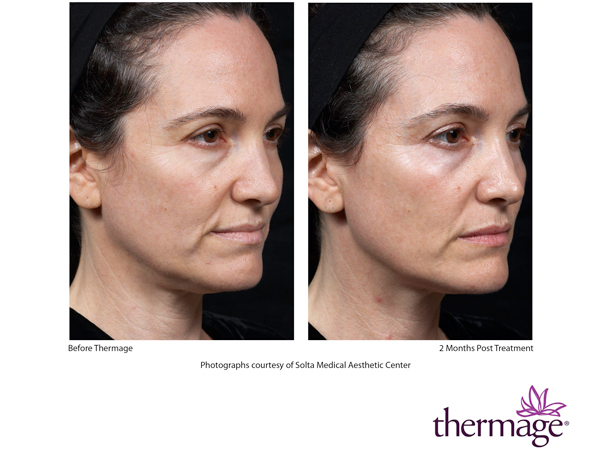 Thermage is a non-surgical face-lift that makes use of radio frequency energy to bulk heat and immediately tighten and remodel deep structures of existing collagen. 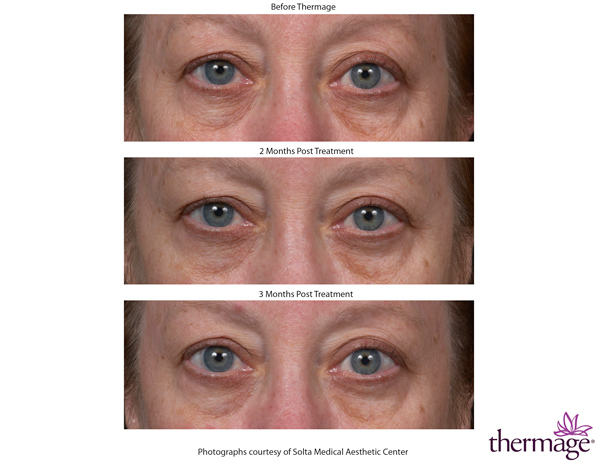 This action also triggers the body’s own natural renewal process and creates a growth of new collagen fibers to firm skin and smooth wrinkles over time, the best result should be seen in 3 to 4 months post treatment. 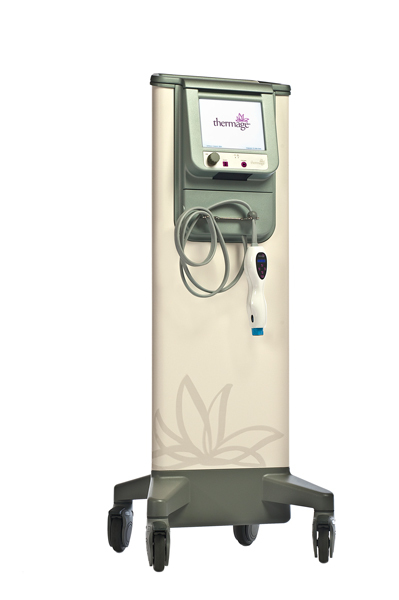 Enlarged pores, acne scars and inflamed acne will also be improved by the Theramge treatment. Thermage is effective on other body parts such as abdomen, thighs, upper arms. Cellulite and stretch marks will also benefit from this procedure. The latest CPT handpiece provides a comfortable treatment with minimal discomfort – no pretreatment medication or topical anesthetic is required. However, patient who is being treated for large body areas may benefit from mild pain killer medication. No down time: patient can resume normal daily activities right after treatment.